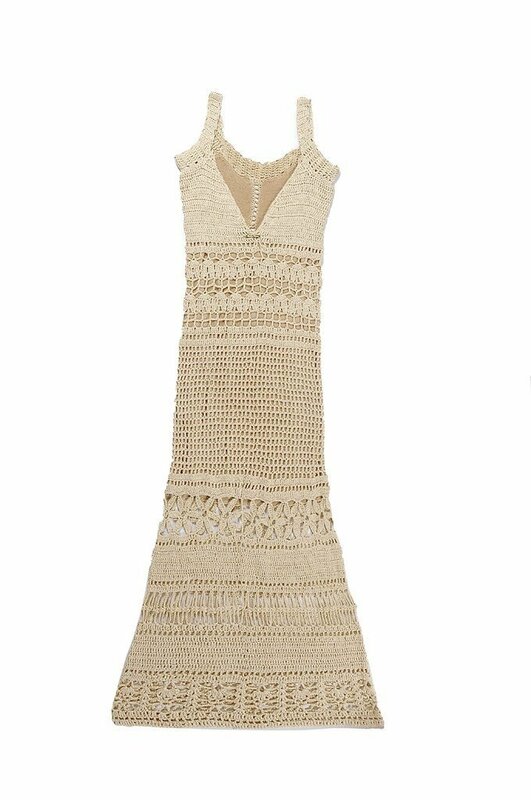 Full handwoven crochet technique, great craftsmanship, with filet drawing and lace work, gold lurex threads flashes in subtle ways in the base color (beige cream) effect. Super thin woven lining, airy and fresh on golden beige tone. 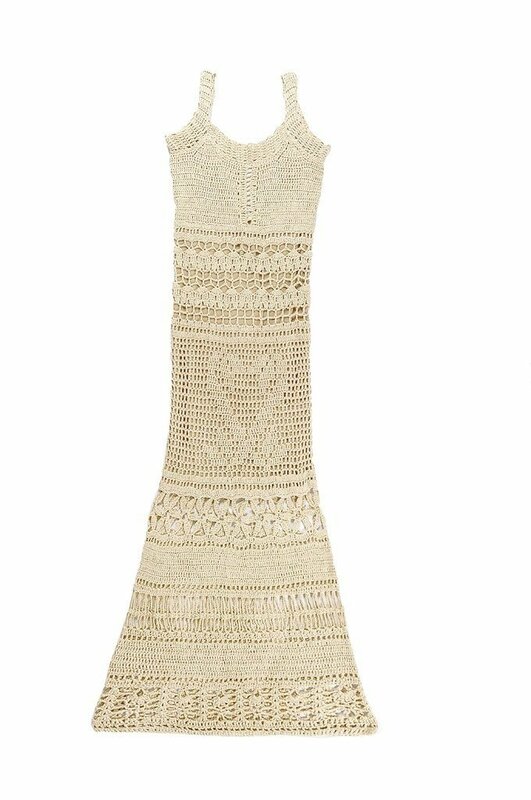 * Smooth: Beige base cream with gold lurex tone lining.